You see them everywhere in summer, middle-class motorists, often dressed as pseudo-hippies, posing with their teutonic split screen monstrosities, making a lot of noise and little progress with their outdated air cooled engines. People think it’s cool to have one on their front drive. Now, cool is a label usually attached to showbiz personalities who died of a smoking related disease, think Steve McQueen or the Rat Pack. These casual owners soon find out why air-cooled engines have disappeared into the dustbin of automotive history. They are noisy and – dare I suggest like all old vehicles (and I own a few myself!) – they are not 100% reliable and take time and money to maintain in a roadworthy condition. These vehicles are soon sold on when the initial enthusiasm wanes, especially after the owner also discovers that the VW splitty drives not like a front-wheel-drive car or a classic British sportscar, but a van. An old, slow, uncomfortable van, for that is what it is. What is it about these vehicles that appeals so much? Why don’t people wax lyrical about Ford Transits, Bedford CFs, Commers, BL JUs and Sherpas of the same era, which were infinitely better vehicles? I can only surmise that people associate the VW with the swinging Sixties era, which in our selective memory was driven by pot-smoking hippies that had dropped out of society (or what would now be called benefits scrounging and illegal drug use). Why do we eulogise this era, when we do not want our own children to follow the same course? 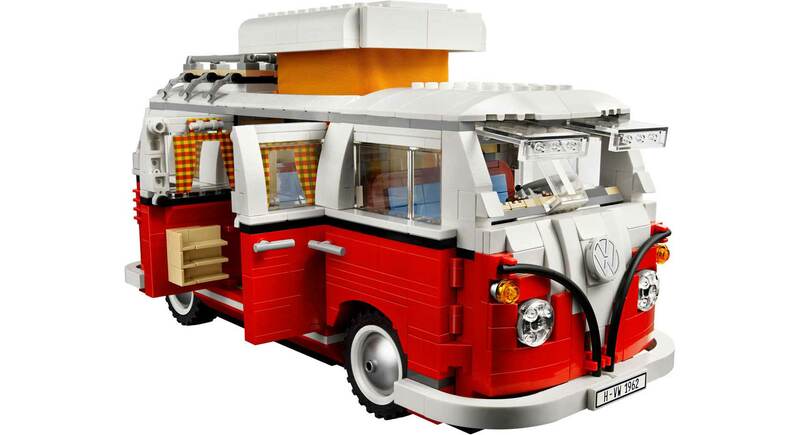 So I am not pulling my punches – the best place for a Volkswagen Camper is a car crusher! “Middle class motorists”? I must be stuck in 1972 – who thinks in those terms any more? !! Very brave to put head above parapet and attack a so-called ‘iconic’ vehicle like the VW Transporter. But absolutely right. I could never see the logic of building a van with an engine obstructing the loadspace and its access. It was a case of using existing running gear and accepting the serious compromise that followed. The idea that everyone should have followed was the Citroen HZ van – a totally logical, superb package. Godawful piles of slow-moving junk – but related to the porsches which still use aircooled engines (which is why they sound like a bag of hammers dropped into a cement mixer, albeit an expensive one). The Commer has an little known advantage – it is entirely possible to haul out the low compression 1592/1725 engine that they came with and drop in the 107hp 1725 engine from the H120 – they are exactly the same and it nets you 40+ extra horsepower and a useful amount of extra torque. It may be possible to use the overdrive gearbox from the sceptre/alpine etc as well so you get a nice 6 speed transmission into the bargain although you might have to do a little modifying there (so everything will fit, shortened or different propshaft). However there is hope – the aircooled motor in the type 2 is infinitely tunable and unlike the engine in the Fordson Dexta & Major tractors does not blow up on principle when someone straps a turbo to it. They can be quite quick if thats what the owner wants them to be – although I wouldn’t recommend an engine that can do a 14.5 quarter on cross-ply tyres – being wrapped around the nearest tree/lamppost/Audi A4 can often offend, not to mention destroy your no claims. Went to Cornwall on holiday this year. Never seen so many camper vans heading east on the A38 – a high proportion of which were on AA flatbeds! For me the classic British camper van is a Bedford CA Dormobile, though the Commer comes close! Quite a childish viewpoint it seems to me, and the second recent article on this site that seems to take an contrarian view just to provoke reaction or page views. Even the language (“…I hate…”) reminds me of my 6 year old. I don’t own a VW Camper, and never have done, but I can see the attraction. 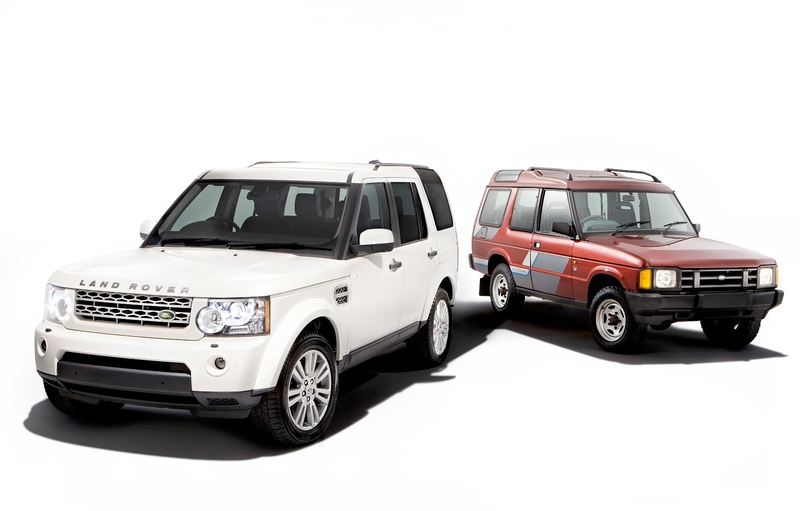 Yes, they were absolutely compromised at the design stage, and were built for far too long (sounds somewhat familiar on this website), but they were also rugged, dependable and characterful. Maybe I’m what you term a ‘middle class motorist’, but so be it – I’ll just carry on enjoying my classics. I don’t like them either but my old man has always wanted one – either that or dormobile. A friend of ours bought one in the 80s big pile of poo. He’s a mechanic and he could not get it too run well. He sold it for three times what he paid for it in the 90’s when people started going bonkers about them. I think the worse ones are those who make them look delibratley shabby – why is my question? I heard one of their Boxster cars start and that sounded air-cooled to me – but apparently it isn’t – still sounds absolutely atrocious and about 30 seconds from a terminal engine failure. Aircooled engines have their place – and so do stratified charge two strokes (in the latter case everywhere someone has put a godawfully gutless 4 stroke in mopeds and motorbikes). The right tool for the right job. My best friend at school’s parents had a 1972 model. In an era before people carriers were invented, it made perfect sense for a family of seven. 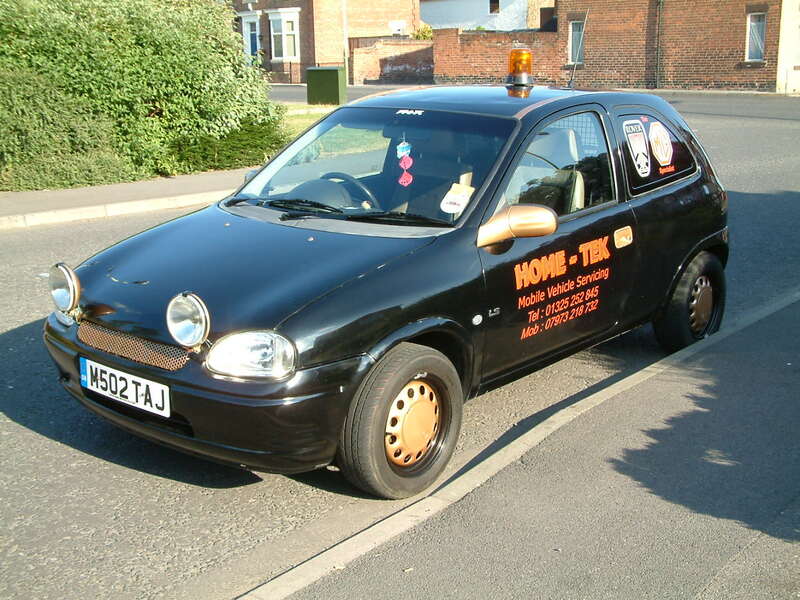 Also for a nine year old car of sorts it was completely rust free, totally reliable and returned an acceptable for those days, 30 mpg. Engine noise was cured by fitting bigger speakers for the radio/cassette that they fitted to it. I’m no Beetle fan, but the camper is an excellent era and in later years I had my first date with my ex at a VW meeting in Tynemouth. I am sorry to say that, but how can you explain that to vw. van fans? They‘re ready to bear all those troubles that you said. I certainly don’t understand the appeal at all. What kind of mpg do you get from one of these VWs? @ KC, around 30 mpg, acceptable for that era and for what is quite a heavy vehicle. However, performance is 80 flat out and they are noisy. Yet in terms of character, practicality, looks and durability the camper is a good vehicle. Don’t like the Beetle at all, though. By the seventies this was an ancient, unrefined and very unpleasant car and my memories of them are terrible engine noise, zero performance and rock hard seats. Those interested in cars have different criteria of what is good and what is bad therefore, we have different preferences. Perhaps there should be respect for those preferences and emotive words such as hate have no place. A statement of I do not like should be sufficient. So please let us not have this attempt to alienate people because of their preferences. I think the old VW vans are rather fun and evocative of a bygone era, plus on short runabouts they are likely a laugh to drive. What does annoy me is the risible ‘scene’. I find Dubbers are a stuck up bunch and don’t talk to other enthusiasts, plus all the loud exhausts, lowering and other ‘mods’ just look childish to me. In reference to the “scene” stupid loud exhausts and sound systems, lowered suspension and over-stuffed wheels, Our society is becoming trashier and more and more shallow-minded with each passing decade, witness the puerile cult of worship of celebrity, the vulgarity of “yoof street culture”, Big Brother, the dumbed down levels of television programming. The English language is not spared, language comprised of filler phrases and swear words delivered at unintelligle speed, where everything is “like” without conveying any real content or meaning. 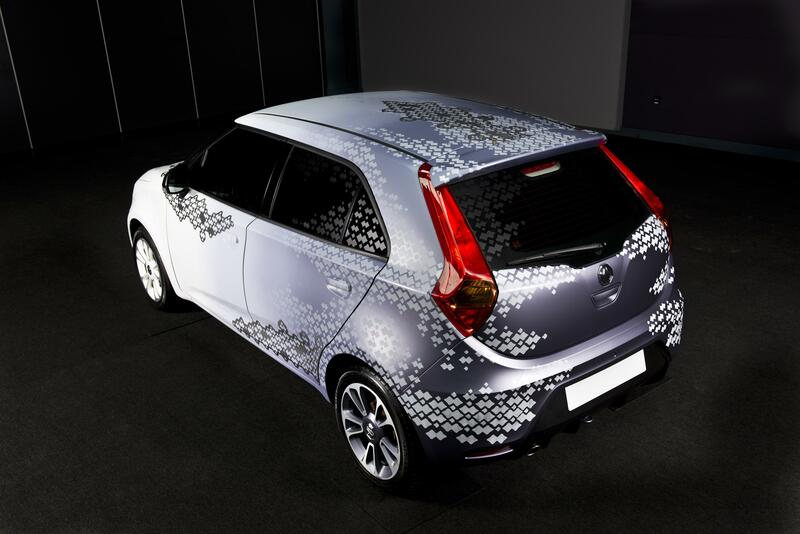 Is there any other popular vehicle on the road which offers so little regards passenger safety ? You are more likely to have a crash due to the poor braking and roadholding and when you do the Transporter’s crumple zone is merely a thin sheet of steel and the occupant’s kneecaps! That may have been acceptable when it was new but it’s frightening now. Yes, I have a Bedford CA Dormonbile, which is basically a caravan on wheels. I use it for classic shows and the odd weekend away. It drives like a 45 year old van, slow and noisy – but thats part of the character – I have a skoda octavia vrs for a daily runner. It does make you careful driving with cross plies, drum brakes, no pas, no airbags etc. I can see the appeal of vw’s – at least you can get parts for them and the engine/noise/fumes/heat is all behind you. I can’t be bothered with people who buy clapped out Citroen Saxos, drive them like they’re in a BTCC race, and play the same ancient rave music at loud volume to annoy other people. Also they tend to wear baseball caps. While the VW camper is evocative of a more optimistic era like the sixties, the boy racer seems like a throwback to the early nineties as their clothes and music seem stuck around 1992. It could have been worse – they could have picked the Citroen AX as their steed of choice.. I used to play my Radiohead CDs loudly in my Citroen ZX diesels (non-turbo). I’m away to hide in the corner before Glenn scolds me. I suspect that like many other classics they are now being bought by people who see them as an investment and then give up again at the first sign of trouble or when the realisation dawns that they are in no way comparable to new trucks. For so many of these that are stil around, it’s a testament to the quality of the design. Commers and Bedfords were good, but extremely rare now and probably don’t have the same parts back up. Owning a Camper is like owning a valve radio. You probably moan when it doesn’t have FM or DAB, it takes a while to warm up and isn’t something you can take to the park, but it is a design classic and rather more interesting than a Chinese battery radio. These things do not deserve space on this website. I see we have the usual anti VW/ German comments. First off the classic car world is full of slow noisy unpractical cars. The VW type 2 is no different. That’s half the fun of owning a classic to be different! One man’s poison….. and all that. I was brought up with Type 2 vans. My father had an electrical shop he sold appliances and repaired them. His first was a new 1963 1200cc (It replaced a Bedford CA) It was a tad underpowered but suited his needs perfectly. The engine cover top was where he stored his tools and spare parts. The side loading door was perfect when unloading heavy washing machines. With a lowish ground clearance and no doors to negotiate whilst unloading. His next was a new 1965 1500cc combi bus. Some seats were removed and it doubled as say a modern day crew van. We did not have a car. His last was a new 1971 bay van 1600cc . Until the day he died, my dad would always say, there was nothing to touch them until the Transit came along. He did indeed turn to transits in about 1973. I bought my own 72 Danbury camper in the late 90’s was it any good?…… no! Cramped and slow, by todays standards. They are an acquired taste for sure. I made money on it after 4 years though. I am glad I owned it but would never want another,. Especially the money they go for now it’s just ridiculous! Whats all this talk about cras protection??? Commers, Austin Morris J2 & 4 were exactly the same as the VW with zero protection! You could buy Mazda & small Japanese micro cans until quite recently with the same issues of crash protection. Ah – nothing like inverse bitching to make your point – much like the VW suspension geometry every time they hit a pothole and bump.. 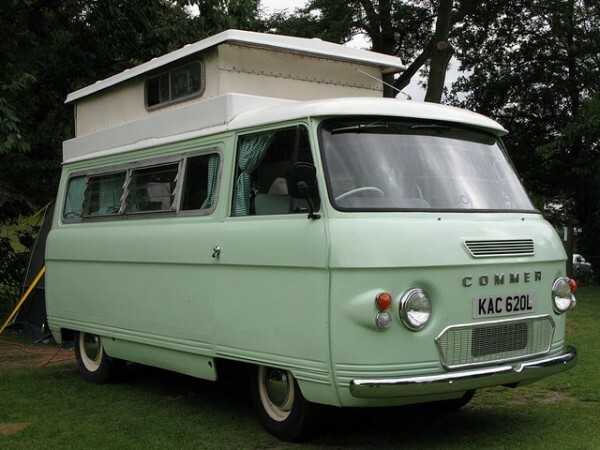 The Commer in general is pretty dire – however as I said it does have one single advantage over the slow clattery heap you so adore – you can get a 40hp upgrade with a direct engine swap. Otherwise its just as godawfully slow and wandery as any of the rest of them. Im going to mention an analogy here. I used to ride alot at university and before and one of the things I noticed was alot of cars hitting bikes. I then built an autocycle that could go at the same speed as the traffic. I didnt get hit by anything for 2000+ miles, why?, because I had eliminated that speed differential that causes most of those kind of accidents. Your beloved Germanic lump in 1955 wasnt too slow when the 70mph speed limit was set (method for same being – take beetleback Vanguard, point it vaguely north on a closed road and to max speed then take off 5mph and pub o-clock). Nowadays a pensioner on a electric bike can out accelerate it and those benighted smart-esque granny cars can leave it in the dust. It is now the pushbike to the Audi and as such it is dangerous to its occupants and everyone else. Add to the fact it has, at the best of times, the handling capability of a Super Snipe on bald cross plies on black ice and the stopping power of same – and as has been said was invented when crumple zones were what happened to a teenage girls face when she realised she was unmarried and up the duff… its the worst of an outdated field. I think the acid test is this – would you want to have your kids, or any kids, in one in a serious crash… and the answer for any sane parent would have to be no. A quick way to identify someone who knows nothing about Volkswagens is that they refer to to whole Type 2 series as “campers”. At the time these were universal vehicles adapted for many roles, the camper is but one. The Type 2 is a nice piece of work, pleasant to drive, economical to operate, reliable if cared for correctly. Yes the “scene” is tedious but you can opt out of that, keeping your vehicle clean and original and at the correct ride height is a good place to start. Not buying every trinket with an image of it on is also a good plan. I don’t run a Type 2 but I am a regular Type 1 (Beetle) driver. Mine is a late 50s model, by this stage most of the niggles had been resolved and the result is a decent small family car which is easy to drive, hard to break and cheap to run. Performance from the stock package is more than adequate for the intended purpose, the controls are light in action and the cabin comfortable and well appointed. The bonus is the quality of the build and fittings, which were said to be of the highest order at the time. Mine returns about 40mpg if driven with care and will run at 100 km/h all day, these are still useful figures for modern conditions. If the British car industry had come up with something as good as either the Type 1 or Type 2 Volkswagen maybe it wouldn’t have ended up in the mess that it did. The Type 2 is a nasty piece of work. Just about acceptable upto the early Seventies, but it stayed in production for far too long. I was fed-up at the sight of them as a boy and as stated there seem to be even more of the crates around today, doubtless used as a second or even third vehicle. Not at all anti-VAG and I understand why VW built it, but it dos’nt excuse it for these days. Being ‘pretty’ is not nearly enough justification and it has very little else going for it – the world has moved-on too much. Big H any non-BMC/BL/AR et al bias to be expected on here. As it happens, I currently drive a slow and noisy vehicle, known as Robocolt; because it is cheap to run and fix, easy to park, and I couldn’t care less if anyone keys it or dents it. Including my wife. It’s also rather amusing when you overtake, say, a retiree in an XK8 who is not paying attention. As for CF’s: a certain Vauxhall club ex-chairman had a 1600-engined CF with three on the tree. He went to look at a new Vauxhall in main dealer, but his gearbox expired and dumped its oil on their forecourt parking. They asked him to leave! After a 2000 and a 2300 were fitted to the front, our friend acquired a Triumph 2500 six, which wouldn’t fit into the front, so he made it mid-engined, with a NINE INCH propshaft. Something of a Q-ship. I also remember CA vans. The right front bumper bracket used to wear loose, so you heard a rhythmic squeaking (Alvin and the Bedfords?) before you heard the engine. They don’t make cars like they used to. This has some advantages. Yep, the classic car world is full of slow, ponderous dangerous vehicles; most of them are generally made less so by the owners. VW bus owners make em worse, then think they’re worth £50k after they’ve knackered them! As to the ’60s, yep, real optimistic times, Vietnam, threat of nuclear war, Presidents getting shot through the noggin, ah, them were the days. Talking of Presidents this one could do with a bit of “up, and to the left…”. The genius has managed to start WW4 and WW5 in one go (WW3 being whats referred to generally as ‘the cold war’), which even by US Presidential standards is good going, especially in the space of one speech.. He also carefully negated to mention the 190,000 guns that Gen Petreus ‘lost'(soon to be known as Gen Betrayus by their ‘allies’, when it gets out). 110,000 AK47s and 80,000 handguns that ‘disappeared’ – completely untraceable (due to serial numbers being too expensive to have applied) which are now probably in the hands of IS..
WW4 – what’ll happen when Americans run into IS – ussuming they dont wipe each other out with friendly fire as usual. WW5 – what’ll happen as a result of the 5 different Arabic/Muslim nations in the “coalition of the cant wait to put the boot into the Sunni” – did I say that out loud? You just *know* the Americans will mortally offend them all somehow – Like suggesting that those nice Imams should re-write that Fatwa. I am not so cruel about the VW Type 2, but I also have no desire to own one either. I have driven one only once-and once was enough. I have never had a driving experience so terrifying as a VW camper van-save maybe an old Isuzu box truck that I had to transport for my company at it’s max speed of 55 mph. I hope that people who love them keep them around for many years to come, but I will not be one of them. No, it’s a product of the past and I certainly hope it is not in my future. A Super Snipe Series car that was more rust than bodywork and more filler than either – It was like the QE.2 on worn kingpins – it wouldn’t surprise me if there was wadded up newspaper where the suspension bushes used to be, it was almost certainly a high percentage of the bodywork. A 110inch LWB landrover on the road. Not strictly a classic by age but it certainly was by design. It was like driving a two ton skateboard without any feeling for the road whatsoever (JLR should have patented the point and pray interface that was its steering), and that was on bone dry roads on a sunny day. You’d never be able to pay me enough to drive one on wet or icy roads. To be fair to it, it was amazing once we got off road..
Sixties nostalgia, I heard Sandie Shaw and Marianne Faithful droning on about this so called great decade on Radio 2 this week. Actually, Marianne, didn’t Mick Jagger dump you and your drug habit almost kill you, along with countless other hippies? Also for the man in the street, free love, pot and hanging out with the Stones in Chelsea wasn’t a serious option, he probably had a wife and three kids to look after on not very good wages from a factory and if he could afford a car, it was unlikely to be a psychedelic VW camper full of women wanting free love, more likely an old Austin Cambridge he bought from a bloke down the pub. Unfortunately a bit young to have been about in the 60s, by the 80s the split/bay Type 2s were bangers, the contemporary being the squared off Type 2 T3. My dad’s electrician friend had one, and as mentioned earlier, used the above-engine parcel shelf for storing tools / parts at hands reach. Crumple zones – exactly the same issue with a 90s Mitsubishi L300 (which had the engine under the passenger seat). Had a work colleague at my last place had a VW camper with the bay window. I’m not into the dub scene at all, with their ridiculously lowered suspension such that the wheel rubs the arches, too wide alloys and stretched low profile tyres, however with this I could see the appeal, was a charming vehicle and looked good craic to take out for a weekend. Though if I was after a retro camper, my first choice would be a Citroen C15 with the overcab. When I was young back in the 70s I knew someone who swore by VW Type 2s, generally standard vans with windows added. Never got the attraction myself! Come to think of it, I also knew a family with a Reliant Regal, while we had a Renault 4, motoring was more interesting back then! Every country has its devotions toward automobiles that aren`t beloved worldwide in the same way . In the United States there is a hot Volkswagen Camper mania especially to model year before 1967 . It happens the same in Brazil . We in Argentina don`t like em at all unless it be front engined wáter cooled of the last generation. But we can`t neglect that Volkswagen created, with the Camper, a very original creature that became an icon thru the years, no matter the concept was imitated and improved by whatever automaker , the VW Camper keeps having a charming shape, it`s a lovely design and when you recognize something is lovely you may not care if it is a troublesome mechanika . Of all the air cooled Volkswagens, it seems the love never extended to the Variant,a useful two door estate car that had a following in the seventies. This was a tough, durable car and more practical than a Beetle and cheaper to run the Camper, but they seem very rare now. I always rated them. Mind you I seem to be in that small minority who seems to like Vauxhall VX 4/90s, which certainly aren’t loved in the same way as air cooled Volkswagens. At my first job one of my workmates had a VW van fitted as a minibus & then later a Variant. It never ceases to amaze me that so many correspondents criticise the design of vehicles from the past – from the standpoint of 2014. In the case of the Veedub, this includes everything from load space, performance and crash protection. Presumably these people would criticise my 1934 Wolseley for not having airbags, ABS and perfect road holding. Probably churlish to mention any good points of the Veedub. It is brilliant in the snow, will go through a foot of water, was the preferred vehicle for crossing the Sahara for about thirty years, it’s spawned hundreds of different conversions and splitties slammed to the ground and de-chromed look fantastic. I reckon most of you are jealous ‘cos you can’t afford a 23 window Samba any more due to the middle classes buying them all up at between 50 and 70k. I hadn’t been on this site since Keith left – my gosh it’s gone downhill! Try and get all your hate mail into one response then I needn’t keep coming back. Or you could try running a site that had new and interesting and positive features rather than allowing people to put deliberately controversial rubbish on just to get a response. Its just one persons opinion and light hearted banter. The whole idea of articles is to create interaction – HEY! why not submit your own one and join in? our c a Bedford had the classic diff whine , you could here it on a foggy day before you could see it. I too have a noisy, slow classic with a pretty poor crumple zone, it’s a 1963 850 Morris Mini Minor. I love it, i don’t really care what others think of it (although I’m guessing it might be a bit more acceptable on an AR forum?). 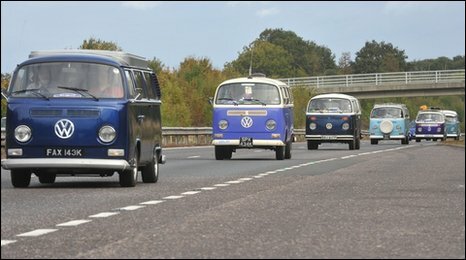 I’ve never driven a Type 2 VW but I do admire them and their owners devotion and the fanatical following they attract. If the prices weren’t so high I would consider buying one. I have owned and do own modern Tdi VWs, Golf, Passat and Tiguan, all of which are / were superb. Having said that I dont understand the lowered VW scene! Classic car enthusiasts are the same as people who collect valve radios, for which there is a small, devoted scene as well. I used to buy old valve radios from jumble sales and pensioners for a couple of quid in the eighties as compared with the plastic Made in Hong Kong radios that were around then, these were often works of art, wooden cabinets, dials that lit up, names like BBC Light and Athlone on the dial, and were part of a bygone era. Of course, they mostly didn’t have FM, broke down and couldn’t be taken to the beach, but that was the appeal. a 2.3 litre overdive box Bedford Cf made a transit look slow. It just made the vw look silly. Vw campers serve an important function. When you start seeing them on fire on the m5 hard shoulder, you know summer has arrived. Much like migrating brds. Air cooling tends to work best in aircraft, which can guarantee a steady blast of ice cold air..
My dad had a 1964 1200cc Dormobile. Oh dear! Top speed 60mph in 4th gear on the level with no wind but any incline or headwind and it was down to 40mph in 3rd. After one major engine rebuild and two complete resprays (honestly!) it went to the scrapyard after 4 years. The rumour was that VW had bought a bad batch of steel. Not a great car.